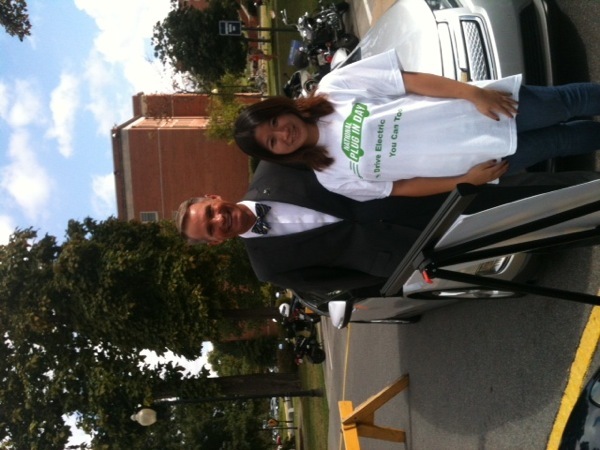 The college president came by and learned alot about EVs! The campus has 1 DCFC and several L2s coming soon so this was a needed event. Probably talked to over 60 people during the several hour event, most of which were great, in-depth conversations. Also had press coverage by the East Tennessean, ETSU's campus newspaper. We also had campus photographers on-site.